You may be familiar with Powerbanks which can be used to charge-up your smartphones. On seeing these powerbanks for smartphones I often dreamt of having some similar power source for my laptop too. It seems that the dream is a reality now. 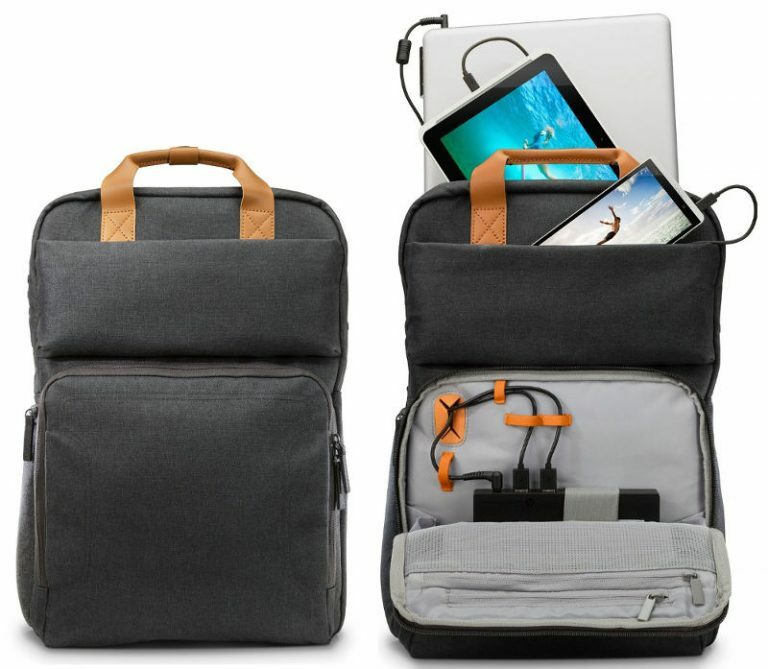 HP has introduced a backpack which can be used to charge your laptop as well as two more devices. HP named the backpack as Powerup Backpack. HP Powerup Backpack is a backpack in a real sense. It looks like an ordinary laptop backpack. The backpack has also got a raincover which can prevent it from getting wet during heavy rains. The battery in the backpack is having a capacity of 22400 mAh which comes to be 84Wh. The backpack contains 2 micro USB cables which can be used in charging the smartphones. Laptop can be charged with the help of Laptop Cable given along. It also holds two adapters too. The battery is high power with 22400 mAh. It can easily power-up one laptop along with other two Android devices, if necessary. Backpack is having in-built heat sensors. This will analyze backpack temperature and adjusts it accordingly. You don’t have to worry about the protection of your laptop inside Powerup Backup. It is having high quality can exterior along with Interior Padding. This backpack is well protected inorder to prevent it from getting wet. This Powerup can be used to charge most of the HP laptop models upto 17.3 inches screen width. With help of Power Priority control you can set the order of charging of your device. HP Powerup Backup is currently available only on Amazon. In Amazon, it is priced at $199.99 where it is available only as pre-order. The company promised that the backpack is ready for shipping by September 14th.